Railpictures.ca - Marc Dease Photo: With CN 8951 leading this large container train there is a Distributed Braking System CNSU 0006 located in the middle. | Railpictures.ca – Canadian Railway Photography – photographie ferroviaire Canadienne. Caption: With CN 8951 leading this large container train there is a Distributed Braking System CNSU 0006 located in the middle. JP, yes both cars are part of the braking system. I don’t recall the exact length but I would think it was close to 10,000 feet. 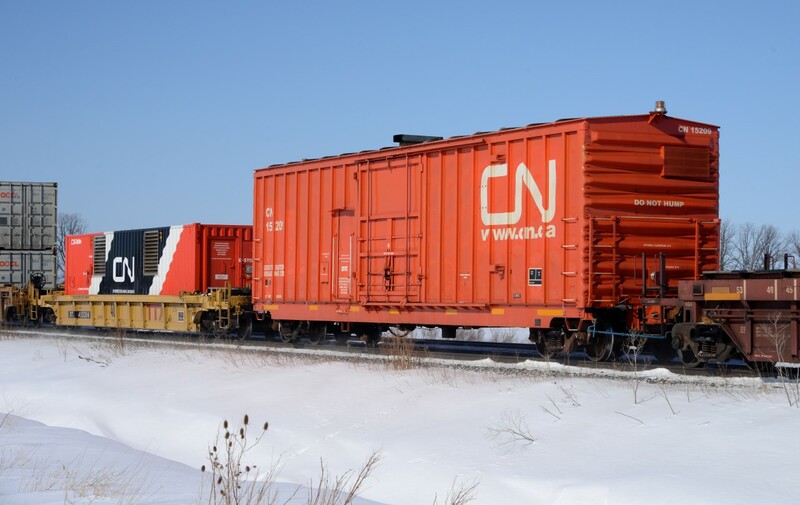 Also, are both the CN intermodal car, and the boxcar part of the distributed braking system? Interesting, how long/heavy was this train?